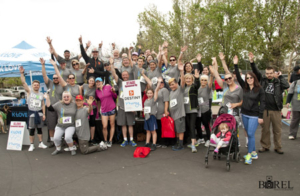 Early last Saturday morning, as the sun rose, a record number of 610 people made their way to Maidu Park in Roseville, California to participate in the Run For Mercy 5K and Family Walk. Individuals, families, and businesses checked-in, as over 60 volunteers and 30 sponsor booths set up for the annual event. 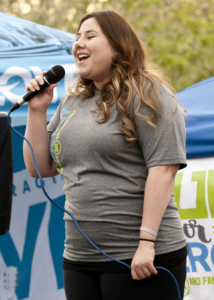 The booths included: 103.9 The Fish, iLove Kickboxing Roseville, Cycle Bar, Liberty Mutual Insurance, The Max Challenge at Kovar’s Satori Academy, and Chick-fil-A, among many others. The morning was hosted by Jodie Stevens from 103.9 The Fish. Dr. John Jackson, President of William Jessup University, led the crowd in a pre-race prayer. Runners and walkers alike were cheered on by volunteers. Children enjoyed a “Kid’s Corner,” which included a relay race and wooden box crafts. 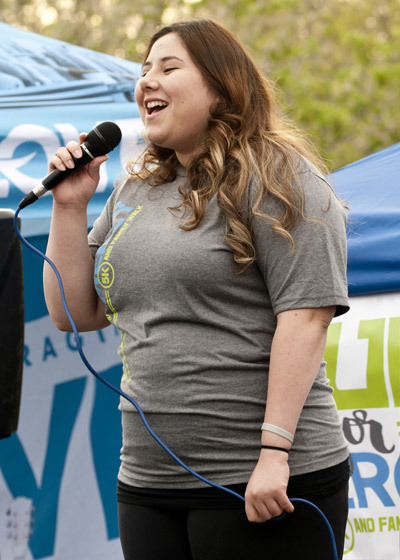 Mercy graduate, Ashley, shared her story of transformation. Awards were presented to the top overall runners, and the top male and female finishers in each age category. The top overall male runner was Jason Pryor with a time of 18:30. The top overall female runner was Brooke Ortiz with a time of 22:21. A total of 32 people received medals. They also received ten dollars to Vitality Bowl and a one-month membership to Destiny Fitness. Top fundraisers were also honored. The top three highest fundraisers received prizes from sponsors, including a one-hour massage from Johnson Ranch Racquet Club, gift baskets from Dr. Aaron Lowe for chiropractic sessions, and gift baskets from William Jessup University. The San Francisco Bay Coffee and Destiny Community Center supported the event and brought over 100 people each with them to the run. 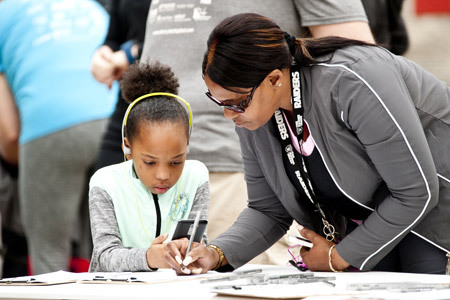 “All year long people are learning about Mercy, and they mark their calendars to join us at the Run For Mercy. It’s so great to have them join us,” Phillips continued. 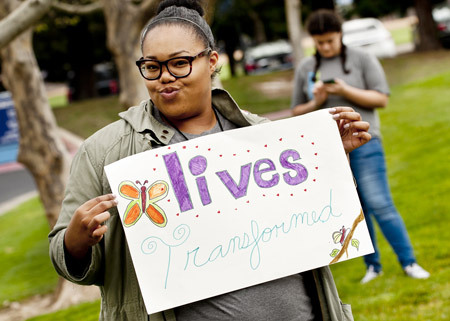 “Being at Run For Mercy feels like a celebration of a community coming together saying ‘These are our girls, and we’re here to do whatever – run, walk, serve – so these girls have a chance at knowing love and freedom.’ I feel so honored to be a part of it, and I can’t thank the committee enough this year,” said Phillips. Mercy Multiplied is grateful for the generous sponsors, volunteers, and participants who made the 2017 Sacramento Run For Mercy such a huge success! 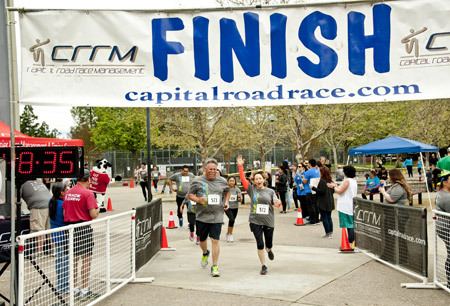 If you were unable to participate in the Sacramento Run for Mercy but would still like to give to the cause, please click here.